Burn all your other prep books! Were money not an issue, I could say this with confidence. The Manhattan Test Prep GRE series is so good that the rest of the books out there are basically jokes. That is not to say that Manhattan GRE is perfect (though it comes close in the math portion). And, of course, money is an issue. Unlike Barron’s, Kaplan, and Princeton Review, Manhattan GRE is not a single book but a set of eight books comprising 1,500 pages. This arboreal decimation explains the price. So perhaps it isn’t fair to compare the Manhattan GRE series to the rest. However, if you are serious about your score, and do not flinch at the price tag, then don’t waste your time with the other books. Each book is based on certain GRE concept areas. For instance, an entire book is dedicated to algebra. Another covers quantitative comparison and data interpretation. Within each book, concepts are broken up into chapters. Before moving on to a new concept or chapter, you can test your new skills with plenty of relevant practice questions. Other prep companies treat most concepts superficially and provide few pertinent practice problems. Because Manhattan GRE is spread across a series of books, the individuals book don’t feel cluttered. While this may sound trivial, staring an unruly forests of facts and figures can quickly drive one batty. Finally, the end of each book has easy, medium, and difficult practice sets that cover the different revised GRE question types. By the time you get to the end of each book, you will have been exposed to the range of concepts tested on the Revised GRE and been given ample opportunity to practice. With these books you will actually learn. Manhattan GRE does not resort to cheesy gimmicks or “tricks.” You will have a solid grasp of the fundamentals. Nor do the books lull you into a false sense of complacency by dumbing down their practice tests. The books’ voice is direct and engaging. Explanations are clear and won’t leave you scratching your head the way other prep books tend to—you feel like you’re working with a smart, patient tutor. Though I’ve already mentioned this, I want to point out that Barron’s, Kaplan, and Princeton Review do not cover every concept and only cursorily cover many important concepts. The Manhattan GRE series covers almost anything you might see quant-wise on the test (I noticed that parabolas—an uncommon question type seen only on harder questions—were absent). They also offer a free online practice test. The material online is slightly more accurate than in the book, especially when it comes to text completion and sentence equivalence questions (I discuss this below). I assume that this may be because the material online was easier to update as they learned more about the new GRE. If cost is an issue, you may want to just pick one or two of their books to purchase—probably those that cover question and concept types you want extra practice on—since you only need one book to get access to their online practice tests. The Math section, which comprises six of the eight books, is excellent. Every concept is covered, and practice problems abound. However, if you are looking for a high quant score, you may already know much of what is covered in these books. You will definitely want more difficult questions. The flaws in the verbal section, namely on text completions and sentence equivalence, are more salient. Most text completions rely on obscure words (the way the old GRE did) rather than labyrinthine sentence structure. The Revised GRE has scrapped the difficult-vocab approach in favor of focusing on a student’s ability to grasp the big picture. Manhattan GRE’s focus on tough vocab may unnecessarily intimidate students and, paradoxically, leave them unprepared for the exam. Here’s a more thorough review of Manhattan GRE Text Completion & Sentence Equivalence (a book I’ve long groused about). Some of the words in this book are too obscure to show up on the current GRE, and many of the practice sentences are too difficult to help beginners. In the 4th edition, MGRE has edited some sentences and removed a few difficult words (no more myrmidons!). I commend them—every other GRE test prep book will, it seems, continue to be published unchanged, typos and all, until the polar ice caps completely melt (or the GRE changes). Still, MGRE doesn’t go as far as they should in the 4th edition. Obscure words remain—lucubrate and obtundity come to mind. Tough, if not obscure, words attend seemingly every question, ignoring the fact that the GRE also tests one’s ability to parse tough sentence structure before choosing from among relatively easy words. Most significant, the 4th edition doesn’t replace old questions with improved ones that better reflect ETS Text Completion and Sentence Equivalence questions. Instead, MGRE gives us the same questions, albeit with more GRE-like language and less debatable distractors. I spotted only one question that had been completely changed. Finally, the difficulty level of the questions and problem sets is still too high for even those at an intermediate level. The helpful strategies MGRE tries to instill would have been better served by questions that are toned down in terms of diction and vocab. Likewise, an easy and medium problem set with questions that are actually easy and medium—so students can build up their skills—would have greatly improved this book. That said, the sentences in this book will be good practice for students already strong in verbal who want to improve their vocabulary and tackle tough sentences. And for those who want to get a better feel of some of the academic language on the test, they could do worse than trying to wrap their heads around the twisted syntax and orotund style of these practice questions. Let’s be clear: there are some excellent questions in the mix, ones that reflect the nuances of real GRE questions. But there are also many lackluster questions that value the brute force of overly difficult words over more subtle distinctions in meaning. If you’re looking for a step-by-step process to become more adept at Text Completion and Sentence Equivalence with questions (and answer choices!) that simulate the real test, MGRE is not the best place to go. In contrast, if you are already strong at verbal and want some extra practice—and won’t freak out over devilishly difficult words – than you’ll get some mileage out of the MGRE book. We recommend Manhattan GRE to those of you who enjoy studying from books and are looking for a good score. For those looking for a more personalized experience or top percentile scores, we recommend Magoosh GRE, which offers everything from the basics to highly advanced practice (the latter is missing from the Manhattan series.) Magoosh is also a great way to establish a solid foundation of skills for the GRE, and it also offers support for any questions you may have. Magoosh is also better for video learners, i.e. those who want to hear and see something explained. For example, here’s a video lesson from Magoosh on special right triangles. We have similar videos for every practice question as well. Furthermore, the Magoosh team is at the ready to respond quickly to questions you send us! That’s definitely not available from any prep book! Finally, Magoosh is better for those who enjoy studying on their mobile devices — you can answer questions and watch videos from any internet-connected device. If price is not an issue, and if you’re a book learner, the Manhattan GRE series is the best prep book on the market. If price is an issue, you may want to opt for another means of prepping. This is the eighth in a series of new GRE book reviews. Well, first off, I would recommend the most recent edition of the Manhattan 5 lb book, if you don’t have it already. I say this because in the newer edition, they’ve slightly rewritten the Verbal questions to make them more GRE-like. This is a much needed change, as Manhattan Verbal questions have really missed the mark in the past. Secondly, I strongly recommend the GRE Official Guide. The other official ETS books could be good to have too: the official collection of GRE Quant questions, and the official GRE Verbal question book. 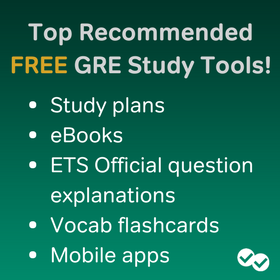 Beyonf those recommendations, you can check out a list of additional recommended resources in our Best GRE Books article. I’m 36 & have been out of school for a very long time. I’m now ready to get my masters which means I have to take the GRE. Am I better off just taking the course as opposed to buying the book set? Would appreciate any feedback! 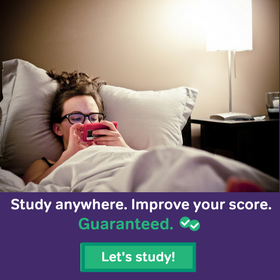 There are a few different ways to study for the GRE exam: you can study using only books, you can study with a program like our Magoosh Premium program which provides comprehension videos and practice questions for self-study, or you can practice with an in-person or online class. Each of these options differs in cost as well as the amount of support you get as you study. Since you’ve been out of school for a while, you should consider how well you study on your own, how much guidance you think you need, and what potential problems you might have as you study. Are you self-motivated and able to stick to a disciplined study schedule on your own, or do you really need someone to help you along and provide external motivation? What sort of support do you think you’ll want during your studies–do you prefer to have someone helping you out every step of the way, or do you thrive in situations where you have more flexibility and have to figure things out for yourself? There are a lot of things to consider! A book may have everything you need to know, but it won’t provide any personalized feedback. A class will walk you through all of the material, but will have a less flexible structure and be more expensive. As you make your decision, I urge you to check out an “in-between” program like Magoosh! Our comprehensive video lessons provide you with all of the information and strategies you need to know for the GRE, and you can review them whenever you want. We have over 1000 practice questions, and as a Premium student you will get support from our team of experienced tutors who can help you over email with questions about methods, strategies or general study help. Our study schedules will provide you with some structure to help you make sure that you cover everything you need to know for the GRE. I know it’s difficult to determine which study method is best for you! If you want a little taste of our program and support, you can send us an email at help@magoosh.com and sign up for a free 7-day trial! Your blogs are always extremely helpful! I was fretting over the Manhattan sentence completion questions, which I am particularly good at in mock tests since the past two days struggling even in the easy section. I couldn’t put the vocabulary that I’ve built in the past month to any effective use. This post definitely took a lot of stress from my shoulder. I use both. I use Magoosh for practice and the lessons. Also for mental math I use Magoosh. I use Manhattan to strengthen my weak areas in struggling with in lesson quizzes or practice. Im also doing 1 chapter per day in mcgraw hills gre. Manhattan helps me understand the lessons in magoosh more. Im taking the gre in late june and late aug with accommodations ( adhd). First time I didn’t and got 145q and 157v. Anxiety and time with my add was a factor( I got super nervous after section 1 even though my practice was ok and I see it in Magoosh i make simple mistakes because I get nervous about time) . Im hoping to get at least a 155 in quant with the accommodations and better anxiety strategy/ better studying. Again the low quant was due to anxiety/timing more than lack of knowledge but im studying things far earlier this time. Im hopeful. Does it matter what editions for the Manhattan GRE series I get? I am looking into getting the 3rd edition, but am concerned it won’t be as good as the 4th? Getting the very latest edition always makes at least some difference. However, the difference between MGRE 3rd Edition and 4th is fairly small. If you want the very most up-to-date content, even at a higher cost, go with the 4th edition. But getting a used 3rd edition will be nearly as good, and probably cost less. Thank you so much for all your posts. They’ve been a tremendous support in my prep. My exam is in a few days though and I seem to be really struggling with time management on the Quant sections. There are very few questions I get wrong, but I never seem to be able to finish the section. I seem to end up spending most of my time on Data Interpretation questions. I have a really hard time walking away from questions. If you could give me a few tips on how to improve my Quant score? Also, regarding your book reviews, a lot of the books that you’ve given good reviews, you’ve said are excellent for Math, but not so much for Verbal. Can you tell me where I should practice Verbal questions from? Apart from the ETS Official books and Magoosh. Also you’ve graded the entire Manhattan series an A, but you’ve criticized the Guide 8. Can you tell me about Guide 7? Is it good for practicing RC questions? I plan on giving the GRE 3 months from now. I currently have the 8 series Manhatten set. The explanations are great and there are a lot of questions too. However, having studied math properly till high school level most of these concepts are known to me and it just seems like a lot of information and questions. Leaving me confused. I skim over the explanation part and learn whatever is new but the number of questions is really overwhelming. Should I be doing all the problem sets,drill sets,easy,medium and hard sections? or Howelse should I approach this book? Great question! Honestly, it depends on the flexibility of your schedule and your current comfort with the content. So, it is different for each student. If you do have the time, then I think it’s great to do everything as it will allow you to not only refresh yourself, but also build a strong foundation. However, if you don’t have as much time, you can try to identify which concepts and sections you struggle most with. For example, create a small problem set with some easy, medium, and hard problems. If you find that you’re comfortable with these problems, you may be comfortable with those concepts. However, if you get problems incorrect, confirm whether it was careless errors, or if it would be useful for you to review the concept more deeply, and do more practice problems. At the end of the day, you want to put yourself in the best position as possible. So, be honest with yourself with your availability, and see how you can optimize your study time. I had another doubt. How do I make sure my speed is satisfactory for Quants? How should I time myself while solving these practice problems from the manhattan series? Came across this article as I am analyzing my new approach to studying for the GRE. Just took the GRE yesterday, and totally bombed it. Scored 148/149, this was after accessed a majority of Magoosh free content, Manhattan older material of their set of books. I was even studying for 12 hours a day for the month up to the test. I understand I may be a “non-traditional” student, having been out of school for 2 years, and been over 10 years since high school, but I still cannot rap my head around the reason on why I did so poorly. With all this said, what is the best approach Magoosh recommends for me. I would love to retake my exam sometime within a month, as I would love to have my applications in by the upcoming, impending application deadlines. Money is a bit of an issue, but honestly, if it something highly recommended I would give it great consideration. I do notice, that I really thought I had basic math concepts under control, but some problem areas are I love the calculator, and I love me some formulas…in school that’s what we were taught and instilled in our heads so it’s been a struggle to get away from them and to try the logical/estimating approach. In regards to verbal, on all “ScoreitNow” essays I have been getting a 5, so essays are no issue, but the sentences and such I struggle with in part I think because I have always struggled with a learning disability, but because I have never really faced such time crunch issues I managed around it. With all this said, may I solicit you recommendation? First, you want to further analyze your first exam. Ask yourself whether you thought you were performing well while taking the exam, and were shocked by your score. If so, you may have fallen for more testmaker traps. If not, you probably need to continue working on concepts and pacing. Honestly, if you want to step up your studies, you may want to consider Magoosh’s premium membership. You will have access to all of our lessons and practice problems to “level up.” Check our a free week-trial here. If you want to take the exam in one month, I would recommend that you use our 1-Month GRE Study Schedule to guide you through the content. Feel free to use other prep courses as well, but it will definitely help! Regardless, your improvement will be based on how hard you work for it! While studying, I would heavily focus on review. That’s where you learn. Whether you get a problem correct or incorrect, review the explanation. Every problem can be solved in multiple ways. Perhaps you’ll learn a more efficient method, which will save you more time! Before we begin, I will say that it is uncommon to see an increase of the magnitude you’re talking about, especially in your short timeline. I would recommend spending your time doing targeted studying. Review your prior mock exams and practice problems to identify your specific weaknesses and focus on these sections. You want to review related lessons. Magoosh does provide some great lessons through its premium account that you may find useful. Check out this link for a free one-week trial. You also want to continue doing more practice problems, and making sure to review the explanations afterwards. In addition, the Magoosh blog offers tips and strategies to approach the various verbal section, so I’d check it out. There are also pacing and time management posts, such as this! Good luck! I am taking the GRE for the first time in February. Could you please recommend me which book can help me better in the Verbal section as a non -native English speaker? For the quantitative section, I was working with the ETS GRE book. Do you think that is enough? My math level is average. The Manhattan books are great for math but not quite as great in verbal. I recommend that you check out our flashcards, Vocab ebook and the verbal section of our blog for tips on how to study and what strategies you can use on the verbal section. One of the most important things that you can for the verbal section is to read as MUCH as possible. The verbal section is all about your overall ability to comprehend difficult texts, so reading is the best way to improve your verbal abilities! I want to take the GRE test for the first time in January/February. The reason I choose the GRE is because Maths is not one of my strengths, on the other hand, I am not an English native speaker. I know it is very difficult, Since I studied my undergraduate degree in English, I am used to the academic English. I downloaded the Magoosh Vocabulary app. But I am not sure if that is working for me. I learn better and faster from the context rather than a definition. I am working currently with the ETS GRE book and for learning vocabulary I use the Norman Lewis book. For the quantitative Part what can you recommend me? while I was looking for Information in the internet I came across so many options I don’t know what can help me to prepare for the test. Happy to help 🙂 Just like in verbal, the best way to study math depends on you and your preferences. In order to excel in the math section, you need to understand all of the concepts and methods that you will need on the test. This is a big task, and requires time and effort. So, do you prefer to learn from videos or books? If you prefer to learn from videos, I recommend that you check out Magoosh. Our comprehensive GRE program includes video lessons covering all of the concepts and methods you need to know for the test, as well as hundreds of practice math problems, complete video explanations for all of the problems, and support from our team of expert tutors. You will of course have access to our verbal product as well, which includes strategy videos for all of the different types of questions you will see on the test. One big benefit of an online study program is that you can take us anywhere, and the format of our practice questions mimics what you will see on the computerized test! You can try us out for seven days to see if this approach might work for you! If, on the other hand, you prefer to learn from books, then the Manhattan series might be best for you! Their awesome strategy guides will take you through the concepts, but you won’t get the personalized support that you will get with Magoosh (and their package is a lot more expensive). The ETS books are great for practice, but they really won’t provide you with the background concepts and strategy that you need for the test! I took my gre exam on 30th Sept 2016. I scored 146 in verbal and 166 in quant. I will be taking the exam again in oct end. I think, I preformed good in RC, but really very poor in Text completion and sentence equivalence. Apart from that I lack in speed as I was not able to attempt long RC in verbal 1st section. My vocabulary is okayish. Basically, I am not able to predict the blank word on my own in short time due to which I end up looking options given in the question for finding the most appropriate blank. I need to practice TC and SE . Will Manhattan GRE Text Completion & Sentence Equivalence, 4th Edition be a good book for me or should I take magoosh GRE package ? My aim is to increase my score to 156 at least in verbal. Also, I want a perfect score in Quant. What can i do to improve my quant score. It sounds like you need really good, focused Verbal practice and general Quant practice. Manhattan’s GRE Verbal practice is of some use here, since they do touch on all of the different Verbal question types, including TC and SE. However, their Verbal has vocabulary that doesn’t quite resemble what you’d see on the real GRE, and their TC sentences are also less focused on grammatical complexity, compared to the real GRE exam from ETS. (As you’ve seen, Chris explores the finer points of this book right here in this post.) Magoosh– if I do say so– does a pretty solid job on TC and SE in its practice questions, and we’re quite good with GRE Vebal in general. And both Magoosh and Manhattan are good for QUants, with Manhattan having an especially rich, HUGE selection of extremely good, accurately formatted GRE QUant questions. So really, both Manhattan GRE and Magoosh GRE are potentially good third-party GRE resources for you. So I hope you’ll consider both our GRE practice and the practice from our fine Manhattan colleagues. Having said that, the VERY MOST IMPORTANT resource for you will be the official materials from ETS. The most recent edition– the 2nd edition of the Revised GRE Official Guide— is obviously the best. But the 1st Edition of the Revised GRE OG is also pretty helpful and reasonably accurate to the real exam. And the official GRE PowerPrep practice tests— downloadable for free– are also essential. So use those official resources to study for your retake, if you haven’t used them already. And even if you have used them already, give them a review. If you need additional supplemental prep materials after you’re done with the official ones, then certainly consider Magoosh, Manhattan GRE, or combination of both as potential options. Need your guidance for preparation. I was an average (or below average student in maths). I could only secure 66/100 in 10th grade exams. My concepts are not that clear either. I have about a year and half to prepare for maths. What would be your recommendation? Manhattan quants book or Magoosh 6-month beginner program? Please advise on verbal as well. Our 6 month GRE study plan for math beginners requires the Manhattan Quants book, so I’d actually recommend both. The 6 month plan for math beginners also includes a lot of support for Verbal too. But the focus is somewhat on Quants rather than Verbal. From what you’ve told me, this 6 month program– use of Manhattan books included– will work for you. But if you read through the plan and are not quite sure, you can compare it to our other GRE study plans. With a Magoosh GRE subscription, it’s also possible to combine elements of a few of our different plans. We provide subscribers with email guidance on this, if needed. Hi Chris I’m giving my gre somewhere in between late august early sept. last time my scores were QA 158 VA 149 AWA 3.5. Mind you the for QA i couldn’t prepare statistics part (basically no knowledge) for that I have the manhattan book and the 5lb book with only stat. and verbal left to complete. But, for verbal i need something. I’m looking to improve my score by 10-15 pts. Improving by 10-15 points is an ambitious goal. You should know that on average, Magoosh users increase their scores by about 8 points overall. While many students have increased their score more than that, we don’t see an increase of the magnitude you’re talking about very often. If you haven’t already, I’d suggest checking out our study schedules here. The plans are designed around a certain starting point rather than achieving a particular score—we want all our students to score as high as they can! That said, with the goal you have in mind, I’d say the longer you can spread out your studies, the better. Now, to really improve your verbal score, we at Magoosh cannot stress enough how important it is to read as MUCH as possible. Aim to read for at least 30 minutes a day from GRE-level reading materials, such as our selections for our “GRE Article of the Month” series. Reading will help you improve your comprehension abilities as well as your understanding of vocabulary in context. Also, I’d recommend using our GRE Vocab Flashcards and learning about 10-15 new vocabulary words a day. Thanks for all of your informative blogs and responses. I’d like to score 165+ on both sections. Might you have some brief yet specific pointers? I haven’t prepped much, but I’ve taken two Manhattan tests: Q 156/ V 159 one month ago, and Q 161 / V 160 a few days ago. I might attribute the improvement on the second test to being more familiar with the test’s format and time limitation. Hi Chris, I am planning to purchase Manhattan Prep GRE Set of 8 Strategy Guides. Do you think I should still buy the Manhattan 5 lbs book? Please let me know your thoughts. If you don’t mind spending a little extra money, the 5 lb book is a nice edition to your collection of GRE prep materials. It complements the 8 book set nicely by adding a lot of extra practice questions. And the five pound book improves on the Verbal material from the 8 Strategy guides. In the 5 lb Book, the problems with overly obscure GRE Verbal vocabulary have been corrected, so that the Verbal passages and questions are more like the current version of the GRE. For more details on the 5 lb Book, check out Chris’s reviews of the book. He reviews the current edition here, and the previous edition here. 2. To be honest, I am a little strapped for cash and not sure if I will be able to shell out USD 100 for the 6 month subscription to Magoosh (even though I really want to). I was wondering if it would be possible to buy the one month subscription right now and then use it for a month at a later date? 1. The Manhattan 5lb Book will not give you access to the practice tests. Instead, it has an additional question bank along with it. If you want the tests, you have to get one of the strategy series books. 2. The team that works on the blogs here is not in charge of subscription questions, but if you email help@magoosh.com one of our admin experts will definitely be able to let you know what can be done about the subscription and when to buy it for later. Thanks a bunch for the clarification! I finally decided to go ahead with the 6 month account! I am giving my GRE exams on may 16th so i hardly have 60 days . 2. buy magoosh for 6 months or 1 month ? and extra ,materials required .. Please comments and suggest you valuable reply ! Since you’ll be studying for about 8 weeks, I’d recommend using our 2-3-month weekly study schedule! That’ll help you structure your studies and guide you through all the Magoosh content in time for your test. As part of that study schedule, we also refer to practice problems in the ETS Official guide. We definitely encourage you to use the official guide, but it isn’t required if you want to stick to only Magoosh content. On the other hand, if you’re looking for a daily schedule, you could also follow our one month plan and take 2 days for every one day on the study plan. This will definitely still allow you to cover all of the topics you’ll see on the exam. 🙂 And since the 30 day plan require about 3-4 hours of studying a day, if you spread this out over 2 months, you’ll still be studying about 2 hours a day. I’d recommend our 6-month plan, as you’ll then have access to Magoosh throughout the entire course of your studies. Plus, in the event that you want/need to take a retake (which I hope doesn’t happen! ), you’ll have 4 additional months to study using Magoosh 🙂 Finally, the plans I’ve recommended guide you through the Magoosh lessons videos and practice questions, so you’ll be fully taking advantage of the resources we offer during these two months before your exam. Each plan has a list of required and recommended materials to use as you prepare for your exam. Please check the individual plans to see what materials we suggest 🙂 And if you have any questions on a specific resource, please let us know! Well one more question so I am interested to take up the 6 month plan and want to understand mahoosh better , and as you said could assign a guide to help me through how to use it in a better way ? And w.r.t the timings I will be spending 4 hours every day ,what is the other required materials required ? It should tell you everything you need to know! I have a question about the free practice test that comes with the Manhattan book. I purchased the 5 lb Manhattan book and used the code to register my product. I got access to the few online resources but unable to find the 6 free full length test on the website. I am about to appear for my GRE in few days and hence need to practice for the same. Could you please help me with this? I hope this helps! And good luck on your upcoming exam! You are the rock Chris!Thank you very much for your honest help to prepare students for the GRE!! My name is Jennifer Okafor from Nigeria. I’ve been reading your materials and blogs online and I must say that it is very impressive. I’m happy that you’ve taken it upon yourself to help others succeed in their endeavours, particularly the standardised exams. God bless you richly. I just had my GRE exam yesterday and it wasn’t so good as I was expecting to cross the 300 point line. I scored 280 (Verbal 142) (Quant138). My gpa in Uni was 2.84 on 5.00 scale. Which schools can consider this score for graduate admission and GA as well? Do I risk applying to schools or I should rewrite the exam? Hoping to hear from you soonest. I would aim to retake the exam because while your score and your GPA are not signs of being a bad student, you want to give yourself some shining aspects of your overall academic profile! While applying definitely wouldn’t be a risk–the process is a learning experience in itself and you never know who might love your essays!–I believe you would be stronger if you could raise that GRE score. can the 2nd edition of MGRE still be used to prepare for GRE in 2016? are there any major differences in the new 4th edition? I have gone through all the comments and reviews, but still not able to decide on a particular book for a particular section. Only thing I know that 6 practice test of Manhatten are important. RC : which is the best book out there. SE/SC : which is the best book out there. Quant : which is the best book out there. Am going to write my GRE on OCT, i already did Manhattan 5lb, Barrons, Nova Math Bible, Manhattan Reference books, Mangoosh vocab(first 2 sections), math flash cards. Now what am suppose to do in this last month to gain confidence and high score. I’m writing my GRE for the first time in December, and I’m really struggling on which books to buy. I know I’m definitely getting the “Official GRE Super Power Pack”. And lastly I want to buy the “Manhattan GRE 5 lb. Book of GRE Practice Problems – 2nd edition”. These will be my main books. Do you think I’ll be prepped by December or would you suggest other books? 1.) How much variation is there in actual GRE score as compared to Manhattan 6 test series??? I’m having my GRE on 23rd July, and Im scoring 158Q nd 147V in these test series.Left with Ets powerprep test. 2.) So how can I improve upon my score in any of the section with 13-14 days left??? Plzz do mention the variation of difficulty level of manhattan test series.. Waiting for a valuable reply asap. Hi, Chris! I’m taking the test in a little less than 2 months. I’ve taken it before and got V156, Q167, W4. I’m basically looking for good resources (vocabulary, books, courses, tests, etc.) to improve my verbal (to at least 160) and writing scores. Could you possibly recommend some resources for me? Thank you so much in advance! I’ve been studying with Magoosh for the past week and I had a question about the prep books. I was wondering how I could incorporate the Manhattan Prep books into the 2-3 month study plan. I have started the study plan but I had not realized that the McGraw-Hill’s Conquering the New Gre Math book was part of the (optional) study plan. I was wondering if I could replace any the Manhattan Prep books instead of the McGraw-Hill book. Hi! I’m planning on purchasing one of the books in the Manhattan GRE series to get access to the practice tests. However, I’m wondering if the code will be invalid if I purchase a second-hand copy, since it has probably been used before by the previous owner. Would you happen to know if that is the case? Thank you. Hmm..that is a good question! Perhaps, even if the code is still valid, the person who first owned the book will have already gone through all the practice tests. Give it a shot, but if not, then buying a first-hand copy might be your best bet. Unfortunately, each code can only be used ONCE. So if you buy a used copy with a used code, you will NOT be able to access any of the free test that comes with the purchase of a new book. I have prep’d myself with online materials and the ETS GRE Guide.I just want to brace myself up and have the get-going momentum by taking as many tests as possible.My GRE is on 25th august.Is there any GRE-style-exams study schemes at Magoosh for 1 week? I will be taking GRE for the first time in Nov and I am anyhow taking Magoosh. From the reviews it seems MGRE is the best book. For the 3 month preparation (3 hrs a day), will MGRE book set be helpful or is it meant for a much longer preparation? I am currently studying from magoosh, the official ETS book and Barrons. I am aiming for a very high score. Should I start using the Manhattan books as well? Perhaps instead of Barrons? Or is that unnecessary? If you already have a solid base (meaning you are scoring around the mid-150’s in each section), I don’t think the Manhattan books are that necessary. What is great is the online GRE tests Manhattan offers. Just buy any one of their books and you get access, for free, to all 6 online tests. I’d recommend those over Barron’s practice tests. The Manhattan GRE tests, while they are excellent overall and probably a bit harder than the actual ETS test, tend to have very,very un-ETS data interpretations, at least compared to the 4 ETS tests I’ve taken. In those, My score on Data Int is more or less the same as my overall, with an error or two from rushing. Even in Manhattan’s 5LB book, I would get 90%+ right consistently, and I do well on Magoosh Data Int as well. But the Data interpretation on these computer based tests is incredibly difficult in the wrong way. For example, a question will ask you to calculate a percentage, and the ONLY way to get this percentage is adding 10 to 12 numbers by hand, even according to the answer key. The Formatting is also punishing: They will give you these HUGE data tables, often 2+ screen lengths long, and often without sufficient explanation (For example, you were supposed to infer that if 0 of a particular color of something was sold in a given week that it wasn’t available for sale!). Alternatively, they give you 3 Data Tables and expect you to do inference across all 3. My score on these data interpretation questions is sharply different from the score I get on magoosh, ETS, or even other MGRE stuff. All of this is to say, use these tests, they’re great practice, but just don’t get discouraged when you get a lower than expected score, because some of these questions aren’t quite the kind the ETS would ask. Thanks 🙂 that was definitely an eye opener. So I brought one book from the 8 books. But how should I be able to access the online tests? For GRE, especially the maths section i plan to use the manhattan books looking at the review of the book given by you. I am totally confused for the verbal section. Accordng to your review the manhattan books are not that good for the verbal section and has such questions which won’t be appearing in the test! I want to know which is the book that I should go for the verbal section. Also my first language is English and I’m quite fluent in the language too! Please reply at the earliest! The Manhattan verbal books are good for strategies, but in general the questions aren’t the best (the question formats, though, are exactly the same). In general, it is tough to come up with questions for verbal sections that are on par with ETS material. That’s why most of the books are below par–including MGRE. I recommend using MGRE verbal for strategy but ETS questions for actual practice questions. I would start with Congratulating Chris and the team. You guys are doing a great job here by helping those in need. Really helpful stuff. My exam date is 26th August. That is roughly 2 and a half Months from now. I have not prepared anything as yet and i wish to have a more than decent score to cover up for my downfall in grades in my graduation. So i was thinking of purchasing MGRE full set+5lb and Magoosh Premium. I have also taken a local tutor for GRE so i have access to their notes as well. I already have ETS official guide. Manhattan 1000 flashcards and Old version of Barrons (12th edition seems pretty old to me by the looks of it) and Word Power made easy. My question is Magoosh Video series of 200 Videos and 1000 Questions + MGRE 8 books + MGRE 5lb book + ETS (as they are the creators of GRE) is this much enough for scoring a high score ? And after i finish this in the last 20 days doing tests from ETS,Manhattan 6 tests,etc. PLEASE Suggest me more books if needed. Do i need to practice Princeton/Kaplan/Barrons/Nova,etc. as well if i am doing the above mentioned stuff? Im doing Word Power made easy and Manhattan 1000 words and referring to your vocab eBook. Any other source you might recommend ? Also i would like to know that the Magoosh 1000 questions are included in those 200 videos or are different ? I definitely think you have enough material. If you do run out, use the MGRE practice tests, which you get access to by purchasing any one of their 8 guides. Personally, I think it is better to redo questions, rather than go “slumming” with some of the other material. If you really have to, I’d recommend Barron’s. I was looking into buying this book when I saw there will be 4th edition coming out in June. Do you plan on reviewing the Manhattan series again? The editions of MGRE don’t really change year to year (at least they have yet to change). My strong hunch is that MGRE is going to focus on releasing more books/adding more online practice tests. The set of 8 books, though, is basically a finished project. Unless, the test changes significantly, I’d say the MGRE book set won’t change for the foreseeable future. I gave my GRE last year with hardly any prep and scored 299 (Q 149 V 150) , I have been working on my vocab for the past two month ( have my test in April’14 ) I am looking for ways to substantially improve my Quant score and pull it into 160+ , I already acquired all the 6 MGRE books and am diligently doing all the problem sets. However,I would like to know If I need any more material apart from the 6 MGRE volumes to score above 160 or will these material be sufficient. How come the 6 month study plan includes the purchase of books 1-6 if Magoosh on its own is fine? I am not sure, as of yet, if I am a book or online learner (have only tried book learning) but I just purchased the Magoosh software and am wondering whether I really need to purchase the manhattan books to get a good score. Magoosh on it’s own is fine. But for 6-months, there simply isn’t enough content to sustain you. Manhattan GRE is an excellent source of practice questions. The key is to providing you with enough prep material so you can get your best score test day. I have the MGRE series. However, the study plans offered on Magoosh recommend using the McGraw Hill Conquering the New GRE Math. Do you have any equivalent plans for MGRE? MGRE doesn’t quite have anything that offers up comprehensive practice on the basics. Almost all of MGRE questions–just like those on Magoosh–offer GRE-level questions. So if you need help with the basics: fractions, factoring, square roots, etc. – Conquering the New GRE Math is the way to go. Thanks a ton for the excellent analysis of the MGRE. I had so far been studying from Barron’s and Princeton review – looks like I need some more practice! Also, the number of practice questions in these books is limited so it doesn’t really help you learn much. I feel that I do not need too much background on the topics since I have been through a host of standardized tests before so I was planning to buy the 5 lb book of GRE practice problems for offline practice . What’s your take on this book? Oh! Thank god. I was doing pretty good with drills from other books but was so disappointed with my performance in Manhattan’s verbal drills. After reading the part of your post which reveals the flaw in their verbal books, I no longer feel intimidated. Nevertheless I sometimes open it up to find new words. I glad I can allay some of your concerns. Yes, sometimes the words are much too difficult, and in a few cases the credited answers don’t quite make sense (though this is definitely rare). Regardless, you should do fine on the GRE if you can handle most of the MGRE words. I intend to take the GRE general test this November. After some researching it seems that Manhattan Prep series are the best books for GRE. However most reviews (of any GRE books, in fact) focus on the maths section, which I understand is a major point of worry for a lot of people. But I have a degree in maths, and on the other hand English is my 2nd language (though I am fluent in it). I’ve been meaning to buy books 7 & 8 of Manhattan Prep (RC and TS), but after reading all these reviews I’m still left wondering whether they will be the best preparation for verbal and analytical sections? Should I buy another book to accompany them? I was going to buy Barron’s new GRE so I have some maths questions as well (I don’t want to go in completely blind! ), would the combination be sufficient? I want to score in the top percentile. I’ve found a lot of flashcards on quizlet.com which I’m using. So the word list is not a major scoring point in a book for me. That’s a good question, and one that many have asked. So MGRE books are good, but it is true they only have two books on verbal. I’d recommend the RC book, but not the TC/SE. Supplementing that book with Barron’s is not a bad idea. And don’t forget Magoosh’s online offering. We have close to 500 verbal practice questions (which means hundreds of SE/TC questions). We also have sedulously developed verbal lessons to help you nail the fundamentals of SE/TC/RC. Hi Chris, I have a question. I bought only the first Manhattan book (algebra) in order to gain access to the 6 online tests, but with some practice I’ve noticed how I’m continuously having problems with Permutations and Combinations problems. So I figured I should get the Manhattan book where that topic is covered, as they are really good at explaining the concepts and giving a lot of exercises related. I have Kaplan (the Premier and the Workbook), Princeton Review, McGraw Hill’s Conquering the GRE and the ETS Official Guide but none of them have a comprehensive amount of practice related to those types of questions. The thing is I’m not really sure which book to buy, and in which one the topic is covered. I would really appreciate if you could give me a light on the matter. The thing with Permutations and Combinations is almost everybody struggles with these. The good news is you may only get one, if any, questions dealing with Permutations/Combinations test day. I think that is part of the reason none of those books deals with the two. The good news is I have written plenty of blog posts on Magoosh dealing with Permutations/Combinations. Hopefully they will help out. For more practice, the Magoosh GRE product has a few lesson videos covering Permutations/Combinations, along with many practice questions. Thank you, you’re awesome. I’ll check the posts very carefully. I hope you’re right about the frequency of those questions. On a Manhattan test I found 3 and on a Kaplan one 4 of them. I almost went mad and wasted a lot of time. do you mind writing a post that gives an indication of the changes in the books you have reviewed since 2012? Where I live in amazon the Manhattan flashcards 2012 ed are three times the price of the 2011 ed, and besides 2011 editions of some of the books have kindle edition which is really helpful. That review should be posted very soon :). Essentially, the two volumes are exactly the same. So as long as you don’t buy the 2010 version of MGRE (which was for the old test format), you should be fine. I’d say you hit the nail on the head. All you’ll really need to practice is SE and TC. The Manhattan GRE practice tests offer some tough ones as does Magoosh. Otherwise most of the other stuff out there is too easy, or simply doesn’t reflect the questions you’ll see test day. as you said in the above comments the manhattan book for sentence completion is not good then which book is good for SC what about princeton (for strategics) and also tell which is good book for practice is manhattan is enough for practice . means their will be enough practice sections is that book. Sadly, the bottom-line is none of the books out there will adequately prepare you the difficulty of questions you will see test day :(. I am planning to retake it on 4th sept,2012 so that I can increase my score. Can you tell me how different is GMAT RC book of manhattan from MGRE RC book.?? I have GMAT RC book of manhattan. Will that be sufficient or should I buy MGRE RC book?? The two books aren’t that different. However, the MGRE book contains the Essay section. Not that the essays on two tests are all that different, but if you are focused on AWA, you might want to consider getting the MGRE book. If not, the MGMAT RC will help you with the GRE RC. The RC MGMAT and MGRE overlap a bit. The essay/AWA part (which is in the same book as the RC MGRE), however, is different. Another thing to consider is the free online test. Buying one MGRE book gives you access to six GRE tests. I’d say buy the MGRE books :). I am planning to get the Manhattan series ( one book atmost ) for the sake of Online test papers. I found that there are two versions: 2010 , 2011. I wonder if the 2010 version also gives me the option of writing 6 online practice tests of the revised version of GRE. We’re not too sure whether the 2010 edition will give you access to the online tests– I’d recommend contacting Manhattan GRE to make sure, just in case! Make sure you get the 2011 version. The 2010 version is for the old GRE test, not the Revised GRE test. Hope that helps! I just need a slight clarification. Is Manhattan GRE the same as Manhattan prep? I am planning to take my GRE in dec 2012,and have started preparing with the help of magoosh study plan for beginner .Your review of manhattan books is really helpful as other inputs available on your site. I have a request,can you please prepare a study plan based on MGRE books.I think it will help a lot of people preparing for the test. I think a good approach to the MGRE tests is to work through the books, touching on the areas you are weakest on. Once you feel you are somewhat proficient in more than at least 50% of the areas, take your first test (you don’t want to take a practice test without first brushing up a bit). Afterwards take a test every week as you make your way through the books. I have been using the online manhattan practice tests that you get access to if you purchase any one of the books. What do you think about the manhattan practice tests versus the ETS vs Magoosh practice questions? It seems alot harder especially in the text completions and some of the quant material. I just wanted your opinion because I feel like I am doing ALOT of preparation and getting bogged down by the manhattan practice exams. Thanks so much! I think the MGRE tests are more difficult than the ETS tests online. Not a bad thing – a little extra practice. At the same time I wouldn’t agonizing over Text Completions that go something like this, “The committee’s proposal against the incumbent’s recent civic rehabilitation plan to counter the former mayor’s plan of city restoration etc.” The real GRE won’t have so many twists before even a single blank. Thanks that helps alot! I just took a practice verbal section with Manhattan Prep and I bombed it and my actual test is a week away. Your verbal strategies definitely help but I am missing the mark however. The text completions in the manhattan practice exams seem so convoluted or it is entirely random that it throws me over the edge completely. Over studying maybe? Its so hard to determine if I should study more or just take it easy. Do not worry :). Some of the Text Completions are overly convoluted on the Manhattan study tests. Though the TCs test day will be difficult, they won’t be as ridiculously byzantine nor as random. If you haven’t already, take one of the two Powerprep tests. That should give you a better idea of your skills, and the actual test. if you dont mind to give a reply………….i want to ask u one question………i have one month time to write my gre exam and i am unable to mug up with READING COMPREHENSION AND ESSAY…..is manhattan book on RC and ESSAY helpful to me……PLEASE HELP ME…….. The MGRE RC and Essay book is excellent. I do recommend it :). I am planning to give TOEFL in 3 weeks.Could you please let me know which book and website should i refer to study. I am also studying for GRE since a week from Barrons and ETS. Could you please let me know which website has mock tests for GRE and TOEFL. Hi, I am looking for Math books.. Here I could find only first edition of Manhattan GRE. I am thinking that the concepts will not change right? Shall I buy them or should I wait for second edition books.. Is there any difference between them?? There really is no difference between the books. And no, the concepts will not change drastically :). May I know the difference between First edition and the Second edition of Manhattan books.. Awaiting a reply soon..!! The two are almost identical, save for a few typos that have been corrected. I am sorry for a totally unrelevant question. I wanted to know if the toefl pattern has changed from what it was last year (in 2011). I had attended classes in 2011 and hence not sure if the same material will hold good even for 2012. I have my toefl on 28th of the ongoing month. Unfortunately, I haven’t been following the TOEFL as we’ve been focusing on the GRE. So I’m not sure if I can answer your question. Sorry :(. do the manhattan gre e books also contain 6 online tests? is it sufficient if we buy any one of the e books to get access to the tests? Yes Rithika. Buying just one book is enough to get access to the tests. You only need to buy one book to get free access to all 6 on-line MGRE tests :). I’m a 26 year old man, with almost 4 years of experience in the IT field. I always thought I could do better without pursuing MS. I still have high hopes for starting my own company or freelancing. But about a week ago, it struck me that I have a life time ahead to try all that, but if I have a shot at doing MS, this is it. GRE 2012. I’m stuck in an unchallenging job, bossed by untalented people, frustrated because of not being able to utilise the skills I’ve acquired through years of passionate learning. I dreamed about developing intelligent software that change the path of computing, but as of now, I just copy paste stuff in excel sheets. That’s the background story. My job is my limitation. But I am determined to write GRE this year. I have about two/three months to prepare. I wasted my money on an old edition of Barron’s. I wish I had found your website earlier! I have read your reviews and plans. I wish I could buy your premium offering, but I dont think I’ll be able to utilise it properly. Your site is blocked at work (under the block list : Real Estate! Can you believe?!). And the net connection at home is shoddy, gets disconnected frequently. As I’m on a tight schedule, I think probably I should go with a book based offline course. Right now, I’m thinking of getting the Manhattan series and the ETS official guide. 2) Or should I get the new Barron’s too? Any use for it if I already have MGRE? Too bad you are not allowed to “Magoosh” at work :). As for books, it doesn’t hurt to combine a few of the source. I’d say MGRE coupled with Barrons, studying a few hours a night, doing several practice tests, esp. the ones from ETS, should help you hit your goal (and help you do something you enjoy!). I happened to find the following comment in a customer review in Amazon. I’ve already ordered the books. But can you tell me whether he’s right? I didnt see you mention about it in your review. The only negative comment you’ve mentioned is regarding the Text Completion section, which I’ll skip in the MGRE books and learn from the Barron instead. Not being a native speaker, you will definitely have to work hard to get a competitive Verbal score. That does not mean doing so is impossible, but no one book will be enough. You will have to use a combination of the best resources and increase your vocabulary by reading often and expansively from a range of topics. So I stated using Magoosh recently and have to give GRE in September. I mainly need to increase my verbal scrore, quant is easy for me. In case I have time, which book do you recommend for extra practise of reading comprehension and text completion question ? Big book or Manhattan GRE books? I really want to improve my verbal score! Other than Magoosh, I have used ETS guide and Powerprep till now. For extra passages you could use Manhattan. The best practice will come from its 6 on-line tests. For even more RC practice, you can also get the GMAT Official Guide. I am planning of giving gre by last week of sep 2012.I bought barrons and ets books but I wanted to know if I would need to study any other books too.I lag a bit in verbal.Also to mention that I have started studying just 3 days back.Could you please guide me which books shall I refer and m also looking for books or courses which have lots of mock tests. Would you suggest me to join any courses like magoosh or manhattan since 2 months is a short period to study,If yes please let me know which one should I prefer. Courses can be quite helpful, but they can also leave students feel lost, as the teachers often teach a ‘one size fits all’ approach. I’d say study on your own first to see how far you get. If you feel you’ve hit a ceiling, then perhaps a class or a tutor would be a good idea. I’ve roughly got 20 days left for the test. I’m relatively good in quants, but I’m freaking out as far as verbal’s concerned. Could you give me some last minute tips or books to refer for the verbal section please? I’m a non-native English speaker. In terms of last minute tips: well, what books have you been using so far? How many practice tests have you done? If you let me know the answers, I can give you a better plan of action :). Thanks for the e-book! I’ve solved two practice tests from the ETS official guide so far.My top score on the Magoosh tests has been 310 so far. And I’ve referred to the Kaplan and Princeton books previously, and now I’m referring to the Manhattan ones. First off, I want to say your website is great and I really like what you’ve done here. I am definitely persuaded to pay for Magoosh prep just because I can see that your free material is legit and there’s a lot of it. Second, I totally agree with what you’re saying about Kaplan. I memorized their box of like 500 verbal cards, took their online practice exam a couple days before the test and scored a 660m/690v. My actual score of 780m/510v/4 was totally flipped. Which brings me to my third point – I need to raise my verbal score to about 90th percentile and at least maintain my math score but I don’t know what materials are best. Obviously, my math score fluctuates pretty widely, so I’d like to be confident that I’m not flying by the seat of my pants on test day. Manhattan seems like a good resource for this, but I also don’t know if I need that much help. I was a math major so I know how to do most everything (reminders never hurt though), but my speed and intuition for traps could be enhanced for sure. Manhattan seems sufficient but unnecessary. Should I just bite the bullet? As for verbal, I have some troubz in just about every category. Whenever I mess up a SC, it’s usually because I don’t know the word, so it seems like a function of just practicing vocab. For this I’m using the GRE word quizzes on Word Dynamo, studying Princeton review’s hit parade, and I’m going to go through your book (thanks for that link by the way). As for reading comprehension, accuracy comes at the cost of speed. The author mentions everything except questions ruin me. I have a lot of old LSATs, and you’ve mentioned that those are good prep. Does practice make perfect for speed increases? Should I go so far as to buy Manhattan’s prep for reading comp? You also mentioned Barron’s was good. I already have the ETS book. Glad Magoosh has been helpful thus far! So…for MGRE I say just pick up the Reading Comprehension book – you can get some helpful tips. The best part though is access to the 6 online tests. The math section esp. does a good job of approximating the test. All that practice will sharpen your intuition and make you less likely to fall for traps. Of course you’ll also get experience with RC passages, but I recommend using the LSAT ones as well (they will prepare you for the inevitable long, convoluted passage you’ll see test day). We’re just about to upload hundreds of TC/SE bringing our grand total to some large number. Meaning plenty of practice for you to not just practice your vocab but to parse complicated sentences that are imparting some abstract idea (I’m sure that sounds familiar from test day). Let me know if that sounds good, and don’t hesitate to ask any more questions :). Based on your reviews, I wanted to buy complete MGRE 8 books set -ebook version. But I dont see this E-book version available on the Manhattan website. Could you please provide me with the link where I could buy this Latest (3rd edition I guess!!) complete 8-book set E-book version. Also Could you please let know how to purchase Magoosh Verbal Package that covers the video lesssons and Questions. Hmm…for your first question I’m not actually sure where to get the MGRE E-book version. Is there any way you could contact them directly? any other suggestion if better. Also what you have to say about Manhattan’s book apart from their math books. As i solely depended on the stuff for GRE preparation, not attending any one to one classes therefore need to have best stuff. Also is there any possibility to have one to one live chat or something with you guyz, should give it a thought, if aren’t there. In a nutshell the math is stronger than the verbal. The Reading Comprehension guide is strong but I would not recommend the SE/TC guide. The 6 online tests are pretty good too. As for flashcards, I don’t think it really matters. Find a series that works for you, based on the definitions and the examples. Have you checked out the Magoosh product? For books, this book review post should give you all the info you need :). Though irrelevant in this thread, i want to know the mock test series which actually simulates the revised gre other than power prep… and also how good is the KAPLAN MSTs? It’s hard to say which mock test does the best job outside of powerprep. There simply have not been any studies measuring students performance on mock tests with their actual scores. I can say that Magoosh users are reporting an accurate correspondence in their estimated scores and their actual scores. I hope that’s true because I’m slamming out the Magoosh Math questions like gang busters. I’m not memorizing the answers but I suppose I may be memorizing how to approach the problems. I was looking for some independent material to practice with to make sure I’m learning techniques instead of learning individual questions. 1. Whether the Manhattan’s 6 new practice tests with each book are the same for all the 8 books or there are different tests for different books? Meaning to say is it 6*8=48 tests or the same 6 tests in all the 8 books? 2. If I purchase any of the Maths book, will it only consist of the Math practice tests or the complete GRE tests (Maths + Verbal). I assume there are 6 tests as stated above. Regardless of which MGRE you buy, you will get access to the same 6 on-line tests. So alas, there are only 6 tests. The good news – you only need to buy one MGRE book to get access :). I have ordered the Manhattan Gre books for Text Completion and RC (third edition). Do you think this third edition of TC and SE is better than their Second edition? Also, I am still not able to decide which book to follow for maths as Nova hasn’t yet published their New gre version and buying 6 MGRE maths books seems too much of a work load and plus extra price. What should I do? P.S.- I am good in maths, verbal is the weaker section. I am almost done with 60 % of Barrons. Even I am planning to buy MGRE (3rd edition) books. Could you tell me from where you have bought those books? The MGRE books have not changed from the 2nd. to the 3rd edition. As TC/SE book is the one in which MGRE lacks the most it is disappointing to learn that it has not changed one bit. Out of all of their books, this is the only one that I do not really recommend. It’s full of obscure words and the many of the sentences are stylistically off (some answer choices don’t even quite fit). For Math, I would recommend the MGRE books, esp. the online tests, which has plenty of practice. Then there is also Magoosh. We have plenty of questions, and lots of difficult ones. All very up to date with the current format of the tests. alright thanks.. but then where should I prepare from SE and TC ? For books, Barron’s is probably the best for SE/TC. Of course there is always Magoosh. We are about to release a whole new spate of SE/TC questions bringing our total to over 300. And that doesn’t include those questions that are part of our excellent video lessons (lessons that help you learn the strategy in how to approach these questions). What about McGraw Hills Conquering verbal ? I am only now aware of it :). Thanks for letting me know, and I can add this to my list of future book reviews. Hello Chris, I’ve been consistently scoring in the 80th percentiles on the manhattan gre practice tests on both the quant and verbal sections. I’m feeling pretty confident (taking the real deal on the 21st of July), but do you know how accurate a predictor of score on the real gre the manhattan gre practice tests are? I wish I had better data on this. From the small sample size, MGRE tend to be a little more difficult. Meaning if you are scoring at the 80% you may actually do better on the test. Again, this is based on about the half a dozen or so people who’ve provided feedback. Can you do the book review for New GRE, Miller’s Math? Miller’s Math, which is published by REA, is a must avoid. True, I have not seen this particular book, but REA has such a poor reputation, year after year, test after test. In fact, REA is the single worst test-prep publisher. Sorry to sound so harsh – but I feel I must warn others :). Thanks Chris for the reply. For maths I am planning to do magoosh video + question sets, Manhattan GRE books, McGraw hill’s conquering maths, but I need more practice as I am aiming for 170/170. Could you tell me about some more useful resources. i went through almost all the suggestion but still please tell me which books to buy for GRE..for the general test. Well…I would recommend the Manhattan Series and the ETS guide. For books, that’s all you’ll really need :). Hello! So happy to find a very thorough review of these books. I’ve been trying to narrow down what test prep books I want to use exactly over the last few months. I’m receiving a scholarship for a PR GRE prep class so that is going to be my first plan of attack (which includes a PR book). Of course, this class only last about 6 weeks and then I want to supplement that with more studying. and then my PR review book. I was debating on buying all the Manhattan books too. Instead of getting them all I just bought two to try them out first. They’re okay but cover only the basics. I’m glad I didn’t purchase the whole set! Currently I’m using Magoosh + ETS guide (mostly for practice questions and review the magoosh video solutions for all the questions) + Nova Math Book (old but still lots of practice questions). I also made some flash cards for rote memorization of some formals ie: arc length. Save yourself some cash and buy one of the books first before getting the whole set. Yep, that’s pretty good advice. Find the area in which you need the most help with the basic. Buy that MGRE guide (you’ll get access to the free online tests). And only if necessary, need you buy any follow up books. Thanks for your insight :). Jorge is right (see comment below). Just buy a book or two in quant from MGRE (you can still access the free tests). The PR class should help you with the basics, esp. in conjunction with the Cliffs book. If you still need extra practice, there is always Magoosh :). Now I would like to ask your advice on two things . I would like to try GRE (applying for mix of b-schools and other graduate programs) . Having done GMAT quant prep what more do I need for GRE , do you recommend buying Manhattan GRE strategy guides ? I will buy the official Book published by ETS . GRE Nova is required and what verbal books do you recommend apart from the Official guide ETS . For your first question: Prepping for the GMAT will help you greatly on the GRE. In fact, the questions on the GRE are easier, so, as a Q47 GMAT, you should have no problem. For your second question: the GRE verbal can be more difficult than the GMAT verbal. It depends on your vocab. RC is similar, though the passages on the GRE are not as formulaic as those found on the GMAT. For both, it is a good idea to buy the ETS book. As a Magoosh user you should get a lot of exposure to tough Q questions as well as some tough Text Completions/Vocabulary. You’ve said that the MGRE prep doesn’t cover parabolas which is where I am currently stuck in my Math review, What would you recommend for learning about this question type. I realize that this is a harder concept and I cannot seem to find a prep guide that goes into enough depth for me to fully grasp all this function. I think the best way to learn about parabolas is to use some on-line math tutorials (these are free and are typically intended for high school students). For instance, just end in parabola in google and you will have access to plenty of such sites. Here you will be able to learn the basics, and for the GRE, that is all you will really need. I have three months to prepare for my GRE exam. I am aiming for a perfect Quant score and a decent Verbal score. I am a college level Math tutor by profession so I know the concepts inside out. However I am bad with computer based – timed tests and end up making a lot of careless errors. I would appreciate if you can recommend some prep material that would improve my speed and accuracy. I know I am buying Magoosh Premium- I really need those practice questions! Should I buy Manhattan Quant set too even If I am good with concepts? You have mentioned that Princeton Review is good for strategies. However I feel like some of their strategies especially for Quant are -frankly speaking- really lame if you are aiming for top percentile…for example ‘Plug-ins for basic algebra’ and ‘Low Hanging Fruit principle’. With that said, I can see how they would help people with weak math backgrounds. Can you please comment on it? -Should I give up on Princeton and just stick to ETS, Magoosh and maybe Manhattan? Will that be enough? I am flexible about verbal but 80 + percentile would be ideal 🙂 English is not my native language so my vocabulary is limited (not that I am any better with native tongue). I did my undergrad from a well known school in US and aced my writing courses so I am hoping that 80+ percentile is not an unrealistically high goal for revised GRE verbal- *fingers crossed*. – What do you think about Manhattan Essential and Advanced Vocabulary? – Is it enough if I just use ETS, Manhattan and Magoosh for verbal too? It looks like you left the same comment on the New GRE Book Reviews post, Chris will respond to you there 🙂 Let us know if you have any other questions! Well, I think you’ve got most of the materials for a great score :). Make sure to pick up the Official Material by ETS. If you exhaust these you may also want to pick up a copy of the GMAT Official Guide (though half of the questions do not pertain to the GRE, you still get close to 300 that do). It happens :). I wouldn’t recommend the first edition, because the Revised test covers the new question format. I wouldn’t say the first edition is totally useless (most of the general techniques should apply) but def. get the second edition. hi, among 8 MGRE books ,which one you prefer should i buy? That really depends on the area in which you need the most work. No book is really “better” than the other, but depends on the needs of the user. For instance, if you struggle on Reading Comprehension, then pick up the RC book. hi, I want to buy some of book of Manhattan collection, but as I checked on amazon, the latest one is the second edition from Jun 2011. Do they still contain the strategy for the old GRE because the revised one was on August 2011? Would it be a problem if we use such old book because until July 2012 that we have the new collection. The MGRE book release in August of 2011, the second edition, is for the Revised test (it is the book I’ve reviewed above). So you don’t have to wait till next month for the MGRE book :). Thats right. But if i want to do more exhaustive practice ,which book or rather which study material would you refer? i want to be more thorough with my concepts. Should i use gmat books ? will that be a good option ? You are correct, in that there is no one book. For RC material you can use GMAT or LSAT official material. Again, try to use as much official material as possible (GRE, GMAT, LSAT). I signed up with you guys over the weekend and am getting a lot of use out of your material so far. I’m looking to crush the quant section of the GRE but I have a lot of polishing I need to do until I reach that goal. I’m an engineer so I’m comfortable with math but I haven’t done GRE style problems in a while. What would you recommend I do to compliment the magoosh material so that I have the best chance to do well on the quant portion of the exam? I was thinking Manhattan books but you had mentioned that they’re not that difficult and I don’t want to under prepare. I’m glad you are enjoying the product :). As for a complement, I think the Manhattan GRE is pretty good quant-wise from a mock-test angle. That is the books are mainly strategies and fundamentals, but the free online tests (free, once you buy a book – only one, you don’t need to buy the entire set) are filled with challenging questions to help hone your quant chops for test day. Book-wise, Nova offers a lot of practice problems. The downside is the book is for the old GRE, so you don’t have the new question formats. You do get some challenging problems. You may also want to consider using GMAT material. Nova’s is good, as in Manhattan GMAT, and of course there is always the GMAT Official Guide. The Data Sufficiency question type is not relevant to the GRE, but you should get plenty of mileage out of the Problem Solving questions. After reading your book reviews i bought manhattan’s gre (reading comp. and essays). A good book for strategy though i couldn’t find enough practice material inside. Can you tell me which book to refer for practising reading comprehensions?? True, the books do not contain much practice material. If you look at the back, however, there is a code. Enter the code into the website and you have access to 6 tests. That equals a lot of practice material :). hi, do we have them in ebook? Also, Can I ask is the Magoosh GRE prep the same as the content of the book collections so that we just need to buy GRE prep or the book collection? Thanks. That is a good question: i’m not sure if the Manhattan books are available in Ebook form. You might want to contact them directly if you can’t find anything on-line. As for the Magoosh GRE prep, we are all computer-based. We don’t have actual, hard-copy books (besides our ebooks, which of course aren’t hard-copy:)). hi, I want to buy the collection of 8books of Manhattan to practice for my taking GRE in next 2 months. I aim high for the Quantitative part. Where should I buy them. Can I buy in amazon.co.uk. I am in Europe. I believe the Manhattan books are all for purchase on Amazon, including Amazon.uk. You should not have a problem buying these books there :). Actually Amazon.co.uk does have the books (at least the set of 8) but will not ship to Europe-only within the UK. I myself am in Spain and Amazon Spain has them listed but they are not available for purchase yet. I don’t know why…It’s really unfortunate. I am still looking for a place in Spain/Europe to find the Manhattan books. If someone finds a place let me know. Amazon US does not ship to Europe. I have give several practice tests and I’ve not been able to finish the verbal section in time. I leave 3-4 questions in the reading comprehension questions because the allowed time finishes. What should i do about that? I have gre after on month. 250 math cards, including 75 math facts, 25 math strategies, 65 multiple-choice questions, and 65 quantitative comparison questions, 10 multiple-answer questions, and 10 numeric entry questions ) Would the Barron’s set of Flash cards make up for the flawed sentence completion part of the MGRE? Would 3 months be enough to master the quantitative part? I am aiming to apply for top universities in the fields of engineering and physics. The MGRE and the Official Guide should be enough for quant (you get the six on-line tests as part of MGRE). 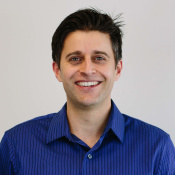 If you run out of material, and you want more practice questions, Magoosh has some of the trickiest quant questions in the industry. As for the flawed SC, the one’s in Barron’s book are okay. I have not yet seen the ones on the flashcards (I better review those soon :). We are also in the process of releasing hundreds more SE/TC questions – some of which are us difficult as the hardest ones on the actual test. Let me know if I answered all your questions :). Few days ago i signed up for a PR class for GRE and after I signed up I came across your blog and it is amazing and I love all your advice and tips. But what I was wondering is that I just recently ordered the MGRE books as well as the ETS book and I was wondering if the practice from these books as well as my PR GRE class prep would be sufficient in helping me achieve a high score since I am more of a class/book learner than an audio visual learner. I am an engineering major and I am aiming to score 160 or above on both the quant and verbal. Thank you so much. Thanks for the kudos :). I definitely think that your prep should be enough. As long as you are using your material wisely, i.e. you are not just plowing through practice questions, but you are learning why you missed a specific problem so that you thoroughly understand that problem. Work on weaknesses instead of focusing on strengths, and that should help you achieve your score. what do you think is better for increasing vocabulary for gre – books on etymology (like ‘word power made easy’ by norman lewis) or the wordlists in gre books. Also there are books ,like barons gre, which do not provide a wordlist at all. A combination of etymology and GRE words would be great! You should also check out our vocabulary Ebook. Many helpful hints/approaches/mnemonics etc. Thanks. that was like a really good link. The meanings have been explained in a fun way. I’ve been looking for something like this since the past week. I found the kaplan top 180 wordlist in the workbook, but it is nowhere close because the only way (i could figure out) you can learn the kaplan list is by blindly mugging it up. I’m happy you are enjoying the Magoosh E-book. Making vocab fun is the best way to make it stick :). Could you give me link/ links to other free material which magoosh provides, which could be helpful for verbal reasoning/ quant? One friend of mine is having Manhattan GMAT books set, I am preparing for GRE, how different is the content of GRE prep book compared to GMAT, which prep books of GMAT can I refer for GRE, and most important thing is he is giving them to me very cheaply. The MGMAT do overlap with the MGRE, but more so with Quant than with Verbal. With Verbal only reading comp. overlaps (so I would buy the MGMAT reading comp. book). For Math, Data Sufficiency does not appear on the GRE at all. So many of the problems in the math series books simply won’t apply. At the same time, you’ll miss out on the new GRE question types, if you only use MGMAT for Quant. That said, Geometry, Number Properties, and Word Translations should be helpful. A little late in my GRE prep to ask this (9 days to D-Day). I plan on giving full length test in the last few days. Have 4 Manhattan CAT’s remaining. Do they accurately represent actual GRE test? 750-800 Q 430-530 V (before starting prep). Really panicking now. Hoping to touch the 330 mark. Plan to give free Princeton test tomorrow and after that Kaplan’s free test. Could you please tell me if these test are similar to the actual GRE exam? Anything else I could attempt? It’s tough to say how accurate MGRE CATs are. We just don’t have a large enough sample size of students who’ve reported back their actual scores after taking MGRE CATs. One thing I can say is the content of the MGRE tests is a much better indication of the test, especially the verbal questions. Both the Princeton Review and Kaplan are off the mark. The PR are far too easy, and Kaplan, on Verbal esp., is so far off the mark, I tell students that practicing with its questions is more likely to do harm than good. Hope that helps! (And good luck :)). i am preparing for gre for 2months and my quant-160-169/170, and verbal 145-150/170, i am doing good at kaplan math workbook practice tests and also amd preparing vocab from verbal workbook of kaplan, but i am not sure weather kaplan test resembles actual gre or not. and also i ve manhattan series, ets-official guide,kaplan maths workbook,kaplan verbal workbook,and i also have kaplan gre premier i almost finshed each book and i am going to give exam around 15th of july, but i ma little afraid that these content and book is good for cracking the gre exam and from tommorow i am going to strat princeton review…i am just concern about level of gre questions in the actual test… i am expecting 320/340 bbut i want to increase my score, and i am giving 18hours each day to gre with 2 hours of toefl study is that enough or i need to put more efforts..
Wow, you are definitely studying a lot each day :). So you definitely don’t want to waste your time – Kaplan’s questions do not do a good job of approximating actual questions (in fact in the case of Verbal, Kaplan does a very poor job). To really find content that mirrors the difficulty of questions found on the actual test, the only two who come close are MGRE and Magoosh. And let me know if you have any other questions :). Thanks to you and all the team. I am a Magoosh subscriber and will be recommending Magoosh every chance I get. I worked through each lesson and through every math/ verbal question at least twice; on the verbal side I worked through the questions about ten times until I maxed my stats on two separate efforts to show 100% prior to test day. On the math side, I moved through all problems twice, but left 175 questions incorrect. On test day I had a good day and scored 154Q and 166V. I am in pursuit of PhD admission in history and while I am happy with these scores; however, at this point I need a 330-combined score to feel like I finished what I started when I started out by wasting my time with Kaplan. Magoosh has become part of my daily life, from review of the blogs, vocab Wednesdays, and completing problems over and over again until unfortunately now I recognize the right answers immediately on the verbal side by just looking at the sentences–I can’t help it–I have memorized much of the verbal unintentionally. I need your expertise on meeting my goal: I want to take my Q score from 154 to 164 to hit my 330 goal. Certainly the first step for me is the completion of the math questions I left on the table (the 175 that I answered incorrectly on multiple attempts–the questions/concepts I clearly didn’t understand). I believe that completing this will get me close to my goal, but what else do you recommend? I have not used the Manhattan GRE books and after considering your review I imagine you will recommend that for me. Is the Manhattan GRE math material challenging-enough to prepare students for 164+? I know a 330 is a lofty goal, but Magoosh is in my opinion the industry standard for GRE study prep and I am entirely glad I found you on a web search 8 months ago! Please let me know what you think. P.S. Would really enjoy some of your explanations on the math side — your explanations on the verbal are personal and make students feel like you are the personal tutor — and invaluable personal feel to Magoosh. As a final side note: Magoosh predicted my score perfectly–my scores were right in the predicted range! Wow, it is great to hear how helpful we have been in helping you prep for the GRE. And congrats on your Verbal score :). For the Math side, you are right 🙂 I would definitely recommend the MGRE series. There are enough tough questions, especially spread out over the six tests, so it won’t feel like you are wasting time (the way it did with Kaplan :). Going through the 175 questions you missed on Magoosh would be a good idea. As you implied, you really want to understand why the correct answer is correct and the incorrect answers incorrect. For even more questions, you can always use GMAT material. Sure, it doesn’t cover all the question types found on the GRE Quant, but you do have hundreds of problem solving questions on the GMAT Official Guide. You can also download a free GMAT test from mba.com (I’m assuming you’ve taken the PowerPrep test from GRE). Anyhow, let me know if that makes sense, and feel free to keep peppering me with questions. And at any point, drop a line and let us know how your prepping is going. I definitely want to make sure you hit your goal this time around :). I’m not sure if they will rush the book to press. The only significant improvements will probably be in the SE/TC book. So go ahead and buy the 2nd Edition :). i have a question. Recently , i am going to buy Manhattan books as you said they are at better quality than others. I want to get better marks in Quantitive part. Also you said , GMAT math is tougher than GRE math. So should i buy MGMAT quant set or MGRE quant set for my preperation? which Manhattan quant set is better or beneficiary for my GRE quant prep? For GRE prep definitely stick to GRE materials. GMAT encompasses Data Sufficiency which is not found at all on the GRE. And the MGMAT will not contain any of the new question types on the RGRE. You reviews and following discussion have been really helpful so as to select “right” material, I have am above average in Math (i.e. I know the basics well) and I would need a perfect score in Math for my PhD admission which book would you recommend? I’d recommend you hunt down as many practice questions as possible, always focusing on any area that is not as strong as the others. NOVA offers many practice questions. You should also use GMAT material: The Official Guide, MGMAT, Magoosh (we have GMAT too :)), NOVA, etc. Good luck with the perfect score! P.S. – have you seen our perfect score challenges? I’ve found this page to be extremely enlightening and helpful! I am planning on taking the GRE and am interested in an online live class. I’m basically deciding between Kaplan and Manhattan. Do you have any thoughts on which may offer a better class? I know you think very highly of the Manhattan books. A friend of mine took a Kaplan class and said she was not very impressed because it taught to the lowest learner. Would Manhattan provide a more stimulating learning environment? Thank you very much for your opinion. Think I’m going with MGRE. You’re welcome – I hope the class works out :). That’s great you are enjoying the Magoosh GRE program. As for the MGRE math guides, I’d say that MGMAT guides couple with Magoosh will cover everything you’ll probably encounter in just the MGRE guides alone. With MGMAT, the math is a little more advanced and the section that deals with Data Sufficiency does not pertain to the GRE (though make sure you use Magoosh to practice with the new question types). Thanks Chris for the prompt reply. What about the verbal section? Since the RC is common to both the gmat and gre, can i also use the mgmat books for just the RC? Thanks a ton. Yes, the RC has good overlap. Again, as long as you are practicing with the new question types (which abound in Magoosh), the MGMAT RC books works well :). how are the strategies given in manhattan gre for Text completions and Sentence Equivalence? I think the strategies are pretty good, but the questions themselves rely too much on obscure vocab. The SE/TC questions on the computer-based test tend to be more GRE-flavored. Actually, the 1st Edition GRE guide is for the old GRE test. So you definitely want the new one, even though it is significantly costlier. The old guides, while not totally unhelpful, don’t take into the new question formats on the test. I scored 1120 in my gre last year after studying for 10 days. I want to try again in 3 or 4 months and my target score is 1450. I believe I can get 770 plus in math and 600 plus in verbal. What material do you recommend for me? I was thinking magoosh and Manhattan math guide. What do you think? The Magoosh Manhattan combination is definitely the best way to go. With all the helpful tips and practice material (questions, mock tests, etc. ), these two sources will help you hit your goal of 1450. And don’t forget the Magoosh blog too :). Anyhow, let me know if you have any questions along the way. Any thoughts on the EZ solutions series of books? I have heard they are very strong for the quant section. Honestly, I’ve never heard of them, so thanks for putting them on my radar :). It doesn’t seem that it has been released yet (so no reviews). So sorry, I couldn’t be more helpful. Do you plan on preordering the book? If you are studying for the GRE, I’d only recommend using GMAT materials if you are scoring in the top percent. You will be fine as an international student, using just the MGRE series. If you do get to the advanced point in Math, I’d recommend Magoosh’s GRE product (we have some of the most difficult questions out there!). And don’t forget to use official material from ETS. Hi this is karthik. presently i am pursuing 3rd year of my b.tech. i am planning to take gre in august 2012 . i am planning to join manhattan review for gre coaching. ut i am confused between manhattan review and princeton review. which will be the better option. I would do as much research on-line as possible. See if you can talk to former students. One thing I can objectively say is that MGRE has more rigorous standards for prospective teachers. A MGRE teacher will likely have a higher GRE score than a PR teacher. Thank you very much for the prompt reply Chris! I just placed an order for that. Again, thanks a lot for your inputs Chris. Appreciate it. Actually, we do not read/critique essays :). Of course, I am always happy to answer questions relating to the issue/argument, and provide helpful tips :). Hi Chris, I was about to order the Manhattan GRE book on RC/essays. There are a couple of links that gets me confused. Can you pls help me out over here. Below are the two links, pls do let me know which one to pick from.. The one you have depicted here is by Manhattan gre, gmat. Looks like there is another one exclusively by Manhattan gre? The first link is for the more recent edition, so I would definitely get that one (and it’s cheaper :)). I am looking for more text completion/sentence equivalence than what is found on Magoosh. I am a visual learner and I remember the answers so I cannot practice with these questions as often. The Manhattan series seems to be the most promising in this area but is still lacking. Is there another book that has better TC/SE practice? The only book I would recommend–besides ETS material–is Barron’s…however I do so only as a last resort, as there is nothing really else out there that is even halfway decent. For practice on old Sentence Completions you can also pick up the old GRE Official Guide by ETS. Sure, you don’t have any newfangled three-blankers or SE questions, but the questions are challenging and sophisticated. He recommended “Verbal Workout for the GRE” or “Kaplan New GRE Verbal Workbook” for enhance the verbal section, but I have find “Manhattan GRE Prep (COR)” also have published about verbal, and I can’t decide what should I buy…? i’m a beginner in gre i want to master vocabulary ,i have gone through your review for manhattan but i’m confused please suggest me the best that helps me for my gre exam .i already have princeton review and ets official guide. That said, MGRE has a word list that you can easily turn into flashcards. Each word is good one to learn for the GRE. The reason I didn’t give MGRE full reviews is their SE/TC questions didn’t accurately mirror the ones on the actual exam. First of all, this blog is incredibly helpful! I’ve been scouring the Internet for a decent source of new GRE information and this blog is a veritable gold mine. I previously purchased the MGMAT book series. However, now I am preparing for the GRE. To avoid redundancy, what books should I purchase from the Manhattan GRE series to supplement the MGMAT verbal/quant books I already have? Basically, I am assuming that the math doesn’t change nor the reading comprehension between both tests (GMAT and GRE). Would this be a fair assumption? Also, as a suggestion to your blog readers, some excellent novels to improve vocabulary: Pride and Prejudice (any Jane Austen novel really) and the Anne of Green Gables series by L.M. Montgomery. Great question! The math overlaps significantly – though you can avoid the Data Suff. altogether. Verbal I would say the same techniques apply, but you should definitely be sure to pick up the ETS GRE guide to practice with GRE RC passages (the format is different and the range of passage is greater. You get the dry academic passages and you get other passages that are more encyclopedia-esque. As for books, I literally just recommended Pride and Prejudice yesterday to one of my SAT students. I qualified that by saying that females tend to love the book, whereas males tend to go more for the Count of Monte Christo (though many enjoy both books). I’ve never read the Anne of Green Gables series but I have a friend who is hooked. The key of course is a great read with lots of vocab words. I think this topic definitely deserves a blog post: Great Classics and GRE Vocabulary. hiii mangoosh, i have my gre on may 14 i.e i have roughly 50 days ..can you suggest me some tips ,how to start my preparation ? Here is our 30-day study plan and an overview of our various study plans. I am sure you will find one that works for you and your time frame. I’ve been taking Manhattan’s new GRE CAT tests. How do they calculate the scores? Is some sort of scaling done? I’ve noticed they do some sort of upward scaling. And how accurate are these scores? I’m not actually sure which scale they use. To the best of my knowledge ETS hasn’t released the breakdown of scores, i.e. how many wrong answers equals any given score. That said, I’m not really sure how accurate these tests are. I think we will need a lot of data over time to see how well the MGRE tests correlate. For now the best indication of your score is the PowerPrep tests. I was kind of “lost in the woods” until Mike`s 90 day GRE study plan(Verbal Focused) surfaced.. This Plan acts like a guiding source and I have decided to follow it. But, Mike mentions the use of Manhattan Series (Vol 7 & 8) and Vocab flash cards. These books are pretty expensive. Currently I have the following resource. Can`t I just manage with these. Do I really need to get Manhattan series. 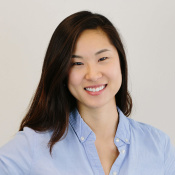 Would Manhattan`s GMAT series help ? Or, could you suggest any alternatives to Manhattan. Sure, you can definitely manage without the MGRE resources. Barron’s is by no means terrible, as my review indicated. I would recommend at least buying one MGRE guide. That one guide will give you access to all 6 on-line MGRE tests. Those tests are very helpful from a practice standpoint. Can you let me know if these guides are as good as they sound? I looked over the math and the questions look okay. One thing I didn’t see amongst their math problem set was quantitative comparison questions. The questions in the ebook may be okay. I recommend buying just one book and seeing if the questions are similar to those found in the GRE. If so, then go ahead and purchase the others. can you already give some feedback about the NOVA Math book vs. Manhatten GRE? Also I have the NOVA Math Prep Course for the old GRE and wanted to ask, if this is a disadvantage over the 2012 edition, if I am aiming for a 162+ quant score? From what I gather, Nova has not released a book for the New GRE. At least, I can’t find any 2012 on amazon. As for the 2011 Nova’s, it was mediocre verbal-wise for the old test. Now, it’s just mostly irrelevant. Quant-wise – which you care about – I’d say the 2011 Nova book is a good question bank. Def. some harder stuff. The explanations are pretty awful. And if half the battle to the GRE math is answering the question quickly, then Nova does not offer many helpful strategies. Manhattan GRE, is for the New GRE, so it already has a one up. That it is pretty strong across the board makes Nova pretty obsolete. I forgot to ask you one more question, I have a bunch of GRE books for the old version of the exam do you think they could be helpfull in math and verbal or should I just throw them away and buy new books? I would only keep the old books if they are ETS books. The practice questions were written by the creators of the test. Sure the test has changed, but much of the logical required to answer questions, esp. RC, haven’t. As for the rest – bonfire time :). I’m an international student and I need some help to find the best preparation for the reading comprehension and writing section since I find them very difficult, so do you have any suggestion for a good and easy to understand book for these parts of the exam. For the best take on the essays, I’d recommend Manhattan GRE’s Essay book. For Reading Comprehension, MGRE is pretty good. Magoosh is also excellent for RC – our lesson videos will help you develop an effective approach. The 100+ questions will help you refine this approach. Barron’s also isn’t too bad for writing – the rest of the book is okay. I’m sure you’ll find our content very helpful. Don’t hesitate to ask me any other questions! I picked up guides 7 (reading comp) and 8 (text completion/sent equiv) of the Manhattan series. Your suggestion that guide 8 relies too much on obscure words seems right to me. At least, I hope you’re right! I’ve been studying for verbal through Magoosh for about 3 months, and it’s been most helpful. I just started working through Manhattan’s guide 8 and much of the vocab seems much more difficult / obscure. I felt pretty good after doing Magoosh mock exams until Manhattan hit me with their obtuse vocabulary. Do you think it’s still worthwhile to work through the book perhaps while taking the vocab with a grain of salt? Oh yes, those words are definitely obscure. But MGRE adapted – in their on-line tests they do a far better job of mirroring the Revised GRE. The good news is each book comes with a code that allows you to access the tests for free. As for the book, I guess it wouldn’t hurt to run through the MGRE Text Completions, mainly to make sure you can pick up on sentence structure and the non-obscure word that would fit in the blank. I am preparing for gre, and I need some material for verbal section; can you please provide some material for me? Check out our free Magoosh trial. Sign up on gre.magoosh.com. If you sign up you can access hundreds and hundreds of questions. I took the GMAT but i did really bad in the test the math was hard and the time wasn’t enough to finish it . is the math in the GRE easier than GMA? and im good at memorizing vocabulary – will this help me in the GRE vocabulary? 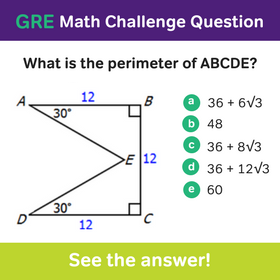 The math on the GRE is definitely easier – however, it is no cakewalk. To score in a competitive range you still have to have a solid grasp of the fundamentals and be able to think quickly. The complexity of the questions (the trickiness etc.) is not as bad as the GMAT, and the candidate pool taking the GRE, is filled with fewer quant jocks to skew the curve. As for memorizing vocab…doing so will def. help on the GRE. However, you want to have a strong sense of how those words function in context. Coughing up a pat definition from Barron’s 3500 list, say, won’t help much. I have studied for the MCAT a few times and am now looking to take the GRE. Therefore, I am able to study on my own for standardized testing.I am mostly worried about the verbal section of the GRE because my vocabulary is not as extensive as it may need to be. I have no experience with the format of the GRE exam. Do you provide that with the magoosh online experience or do I need to get other books to learn about it? I have a strong math background, and I feel that I will only need refreshing. I have the money to purchase the manhattan books, but I am unsure about their sentence completion section. Do you have a suggestion about how to determine what will work best for me? I see that your online practice is on sale now and I would like to purchase it while on sale. The Magoosh product focuses on how to attack questions and how to answer specific questions (we have hundreds!). But really speaking it’s pretty straightforward. Buy the GRE official guide by ETS and spend half-an-hour learning about the format of the test. Follow that up with an actual GRE test (it’s at the back) and you should have a solid grasp of the format. Then of course it’s just a matter of practicing. If you feel you are confident on strategies, and only want practice questions, then I don’t think Manhattan GRE is necessary. Finally, from a vocab standpoint, here are two posts I wrote. Hope they help! Thank you! Does the review on the magoosh website provide enough math refreshers, like formulas and strategies, and verbal strategies so that I would not need to buy a book? Yep, we do have a few things on our blog that you will find helpful. For Quant here is a litte cheat sheet. For verbal, you can definitely cruise around the blog. You will find general strategies/tips for the various sections (RC, Sentence Equivalence, etc.) There are also vocabulary posts featuring high-frequency words. I’m an international student applying for a business graduate school. I’m concerned about whether to take the GRE or GMAT. By the way, I’m not that good at math, and I heard and read online that the verbal section on the GRE test is really hard. From your experience and knowledge which test do you recommend for an international student, and do you think 3 months will be enough to prepare for the test? What is the best book for either test? I recommend downloading a practice test for the GRE (gre.org) and one for the GMAT (mba.com). Afterwards, determine where you rank percentage wise. If the scores are about the same, go for the GMAT. It still carries more weight, b. school-wise, than does the GRE. If your GRE score is higher percentage-wise, then I would recommend spending your three-months prepping to take it. Your welcome! Best of luck! I’m very frustrated over whether or not I can succeed at the GRE. Another point is the need to get the latest edition of every book – if someone gets the Manhattan GRE book now, he or she might lose something new or a current topic from their next edition; especially those who are planning do their GRE exam 6-8 months or more later. If I sign up for Magoosh online Premier, is it enough? How else can I start my preparation for GRE? Please give your great and kind suggestion. As someone whose native language is not English I commend you for your initiative. The GRE is very, very difficult for non-native speakers – many such students have faltered, so you’re not alone :). I definitely recommend reading in conjunction with learning vocab. The new GRE is no longer a raw vocab test. Rather it tests your knowledge of words in context. For instance, Newsweek and Time magazine are good places to start. Look words up when you don’t know, even if you recognize them but can’t quite define them. Don’t worry about the editions. If anything Manhattan GRE, out of all the paper books, is the most up-to-date. Our product might be slightly newer but in terms of ‘timeliness’ I don’t see much of a difference. Magoosh alone should be helpful for verbal. But a lot of that depends on if you are a video learner. If it works for you, remember to read a lot, so that you are learning academic English – which is more advanced than TOEFL English. Honestly, I am very confused that which book is better because you said Manhattan GRE is better and some other blogs i.e. Happy School recommend other books like Kaplan new GRE premier 2011-2012, but I need the right path… I am planning to do GRE in Sept.2012 and my native language is not English, I am not so good in English I got 6.0 in IELTS; this is my standard stage in English. But I want to complete my M.Sc in Electric Power from University of Southern California – it’s my dream. So, how can I prepare for GRE and get a good score? Need your great and kind suggestions please. Thanks for your message. I think you bring up a good point: who do you trust on the Internet, typically when there is conflicting information? “Kaplan GRE Books are well known in GRE Test prep market. Some test taker might not like the way book are presented, be it Kaplan or GRE. Understand your need and find the right test prep books. Its not possible to buy all the available GRE Test prep materials in the market. Barrons and Kaplan have good reputation for their GRE Test prep books. Apparently, he is recommending Kaplan because it is well-known. He then goes on to say Kaplan (and Barron’s) has a good reputation. According to whom? My experience with students who only used Kaplan before coming to me, as well as GRE tutors, in no way supports this assertion. In all, his review is very vague. Does he at any point discuss the content in the book? No, he sticks to generalities. To say that Kaplan has good strategies is an example of where he is making a general assertion without backing it up with any specifics. After reading this post, the only information I’m really getting is Kaplan is well-known and, according to a shadowy somebody, has a good reputation. My reviews make general assertions about each specific section, and back up each assertion with specific examples. I essentially dissect the content on every part of the test. Not surprisingly my posts are much longer. I also balance the positive with the negative, providing a view that is comprehensive and nuanced. He does neither. Well, to answer that question, email the happyschool blog and see if he (or she) can give you any specifics for why you should choose Kaplan. My advice to you is to use Manhattan GRE over Kaplan. The difference in quality is so vast that to say Kaplan is better is downright laughable. Let me know if you have any other questions regarding what is best for you. I’m planning on giving the new GRE around August 2012. I have seen your video review and I’ll probably stick to the Official GRE guide and another book. Should I go for the Barron’s 19th edition or the Manhattan series? You mentioned that the verbal section in the Manhattan series is flawed. How is it compared to the Barron’s (or any other for that matter)? Also, is there a “word-list” in the Manhattan series? Overall the Manhattan series is soooo much better than Barron’s. In the one area of SE and Text Completions, Barron’s is okay. Consider giving us a try. We offer a free trial – and I personally recorded all 300-plus verbal videos so I can attest to their quality. That’s a great question! In terms of price, it is definitely a winning proposition. However, I’ve never learnt in workbook form on an e-reader. The ability to scribble on the paper is lost, and I wonder how much that will affect the overall experience. At least working with scratch paper could somewhat make up for this. Yes I am leaning towards buying print version because its easier to work with. Also your article shows the price of the books to be $180 and not $118 which is what manhattanGRE site shows. Hmmm, that’s weird. I must have made a mistake. I will make the necessary changes in the post. Thanks for pointing that out. 3. provide hyperlinks of each chapter, in-action problem and solution. 4. way cheaper than the paperback version. 3. The page number does not match with the paperback version. And the location of the page number in the text changes when changing the text size even though the number of total pages doesn’t change. Thanks for the great review :). I think many will find it helpful. So it sounds like most of the cons are related not to the content but to the electronic format (which always a lot of hiccups at first). Thanks again for your review :). Yes, you are right! They are cheap for a reason. lol It’s not very user-friendly and definitely not a good choice for the people who don’t have much experience of tackling software. But the content is the same! So think carefully before purchasing. By the way, here’s the tip when you encounter ADE activation errors: Open your clock time, then the time zone and check if the time on your time zone is the same as the country where you are. After adjusting the time try to activate again. That should solve the problem. That sounds better because the entire series of manhattan prep is quite costly as compared to ur site. Another question i want to ask u is tht am confused whether critical reasoning questions comes from the verbal section or not. For the Revised GRE, critical reasoning is part of the reading comprehension section. Unlike the Manhattan GMAT series, which has a separate book from critical reasoning, the Manhattan GRE series combines the two in one book. I got all the sectional gmat quant books of manhattanprep,is it sufficed fr gre quant?? Great question! The GMAT goes beyond the GRE in math, esp. in terms of question difficulty, so you will learn more. One area where there isn’t overlap is the data sufficiency. The GRE has quantitative comparison (QC), that, while easier, may necessitate that you practice this question type. If you don’t want to purchase the entire series, you can have access to hundreds of QC for you to practice from in the Magoosh GRE product. Unlike Manhattan GRE, we are completely computer-based. All instruction is by video. Actually, it’s not a CD but a series of practice tests. To access them you have to scratch the back of the book for an access code (you only need to buy one book to get all the tests, which is great). The on-line tests have the twisted sentence structure and so are more up-to-date than the SE/Text Completion book. The overall quality of the tests is pretty high. Manhattan is top on my list, as is Nova’s GRE Math Prep Course (would love to see a review on that one), but your review of the verbal section concerns me. Is it bad enough that you would recommend only purchasing the Quant sections for Manahattan? And another book for Verbal? I’ve always considered myself strongest in Verbal, but in looking at the GRE official site and their sample questions, I definitely need some serious work. What is your strongest recommendation for verbal practice? The best prep for verbal is the ETS material. I recommend purchasing the book, which comes with the a mock test. Get a feel for those questions and you should be ready. As for Manhattan GRE, I think the Sentence Equivalence/Text Completion book was rushed to print. As a result it doesn’t really mirror the test. I think most of the words will end up freaking people out. The good news is Manhattan GRE did a much better job with Sentence Equivalence and Text Completions on their mock tests. Also give Magoosh a try. We have a free trial, which you can get a sense of our verbal content. As for NOVA math, it is next on my review list! The 3rd edition is out have they corrected the errors which you are talking about and many people say that quants in manhattan is bit on easier side compared to actual gre how far is this true.